InCommunity partners to enrich and sustain the lives of individuals who have developmental disabilities, their families, and their communities. This volunteer opportunity helps InCommunity carry out its mission by bringing awareness within the community of the mentally disabled and bringing a sense of normalcy for our individuals that are treated differently. Volunteers will assist in hiding eggs to hunt, assist individuals in search for Easter Eggs and also clear the project area, upon conclusion of the Easter egg hunt. The Mayor’s Office of Resilience works to make Atlanta better prepared to physical, social, and economic challenges that are a growing part of the 21st century. Join us at Campbellton Garden as we grow, learn and build a healthy community! We need your help to make an impact! Volunteer assignments range from mulching to planting and building! Dream Big Dance is a dance for individuals with disabilities 16 and older to experience a prom like atmosphere. This is the fourth year Mount Pisgah UMC is hosting the dance and it is one of the most popular dates within the disability community. Help make Dream Big Dance an evening of wonderful memories for the disability community. There are multiple positions to choose from, the most popular choice is being a buddy with an individual. Volunteers will be trained on engaging with the disability community to prepare for success. 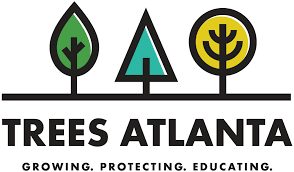 Trees Atlanta is a nationally recognized non-profit citizens’ group that protects and improves Atlanta’s urban forest by planting, conserving, and educating. The vast majority of the work is accomplished with the help of volunteers. Volunteers will be removing an invasive plant called Amur Honeysuckle using hand saws and uprooters at Chosewood Park. Inspired by artists whose boldness sparked movements, SOAR is created and performed in collaboration with the fearless young people of Moving in the Spirit, a youth development program that creates compassionate leaders through the art of dance. Volunteer duties will include: greeting guests, assisting at will call, recording demographics, assisting with seating, breakdown of the lobby, assisting with the interactive exhibits in the lobby.